Let's face it, even for many of us who work on Christmas Eve, this can be a pretty low-key day. Not so for church musicians. For them, there is not much time for last minute shopping or lingering over a glass of egg nog. Instead, it can be one of the busiest - and most fulfilling - days of the year. The planning for Christmas Eve at House of Hope Presbyterian Church in St. Paul began in January. Director of music Aaron Miller said there are upwards of 200 people involved in six Christmas Eve events. It's like a chess game. Dozens of musicians were hired months ago for the orchestra. Miller will be at all six of House of Hope's Christmas Eve events helping supply music, including an unusual tableaux service. "Actors strike poses in the shapes of famous Renaissance and Baroque paintings and that has a whole different set of music to sort of upholster that service," Miller said. A good deal of the Christmas Eve music is a fixture. 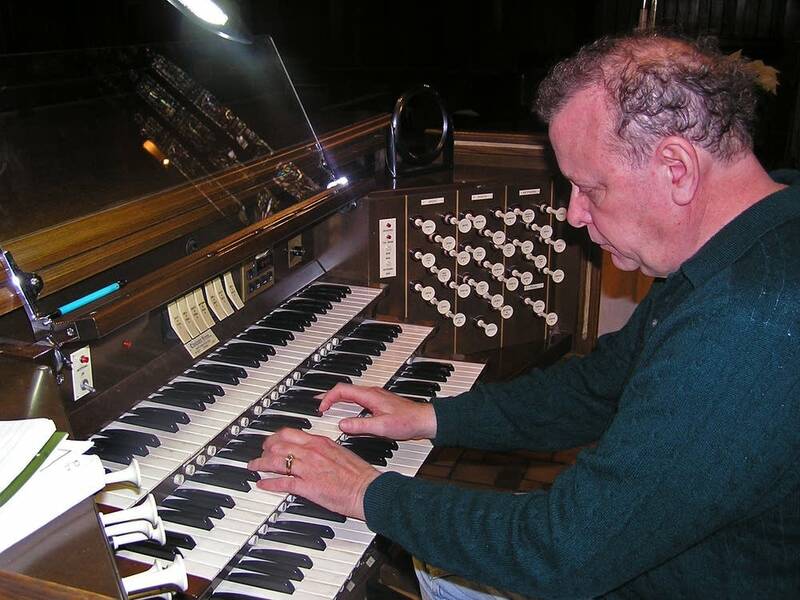 And yes, organist Charles Parsons said, even after performing them for decades -- and hearing trashy canned versions of the tunes -- he still wants to play them. 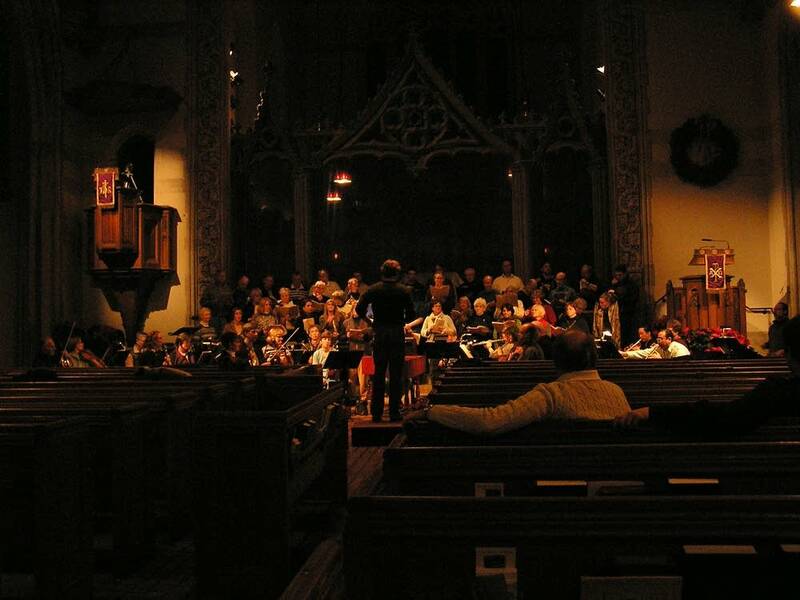 Parsons is music director at Hamline United Methodist Church in St. Paul. "I can't start a Christmas Eve service without 'O Come All Ye Faithful,' so it's a big arrangement, with trumpets in the back and brass, and choir in the back and organ and descants and all of that," Parsons said. There will be two services there. Like his counterpart Aaron Miller at House of Hope, who started playing the organ for church when he was nine, Parsons was also a youthful church musician. He was the church organist for a congregation in his hometown of Dickinson, N.D. at age 13. "But I wasn't tall enough to reach the pedals so I had shoes that were built up with heels and soles on them so I could touch," Parsons said. The northern European and Scandinavian Christian religious tradition pretty much names the tune for Christmas Eve observances in this region. Organist Peggy Johnson has performed around the country. 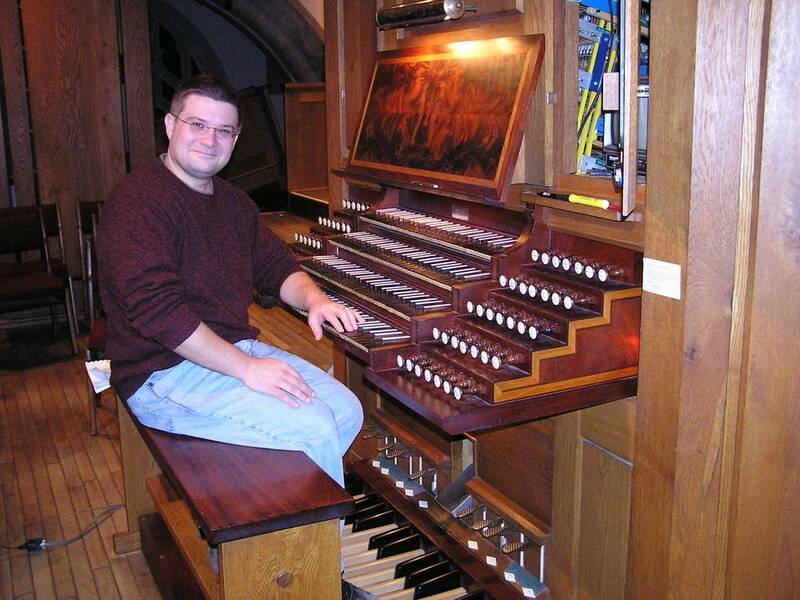 Johnson will be playing the organ at two Christmas Eve events at Gethsemane Episcopal Cathedral in Fargo. She remembers a Christmas Eve service in Hawaii years ago. "Really it's almost open air, surrounded by the leis and flowers, and Hawaiian Christmas songs," Johnson said. "The strangest feeling was seeing Santa out on the beach." Christmas Eve musicians have to be light on their feet and have their gas tanks filled. More than a little bit of the traffic on the roads includes organists, chorus members and instrumentalists shuttling themselves to the next service. Don Swanjord plays Christmas Eve, catches a few winks and then rises early Christmas Day for another ritual. He plays keyboards at Sillerud Lutheran Church near Balaton in rural southwestern Minnesota. Swanjord said the Christmas Day service is a holdover from Swedish immigrants who settled in the area. "The Julotta service, which is in early morning, the use of the darkness and light to express the feelings of the day," Swanjord said. It's not all about music on Christmas Eve. Many church gatherings will include spoken word in the form of lessons, gospel readings, meditations and full blown sermons. But woe be to those churches who fail to supply people sitting in the pews the old favorites. "You know I've said many times: 'No one leaves a worship service humming a sermon,'" Parsons said. Many Christmas Eve church musicians have some Christmas Day duties, but they're much lighter. Then there are a few days off, the new year arrives, and the planning for Christmas Eve begins anew.